Storseisundet Bridge is the longest of the eight bridges that make up the Atlanterhavsveien (“The Atlantic Road”), the road connection from the mainland Romsdal Peninsula to the island of Averøya in Møre og Romsdal county, Norway. 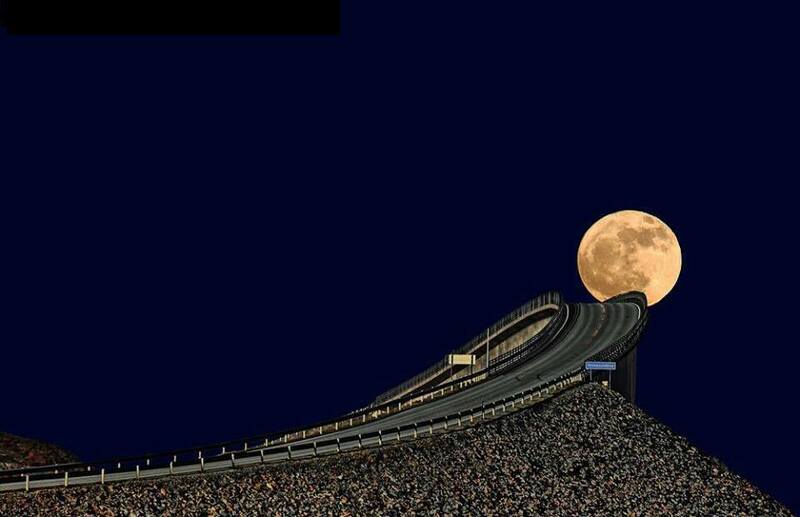 It is a bridge on one of Norway’s most scenic and popular tourist roads – the Atlantic Ocean Road (Atlanterhavsveien in Norwegian). The bridge named Storseisundet makes a sharp bend as it jumps over a number of small islands and waterways. The approach to the bridge looks scary as the bridge seems to end abruptly and as if any attempt to proceed would result into the vehicle flying out and dropping into the waters below.